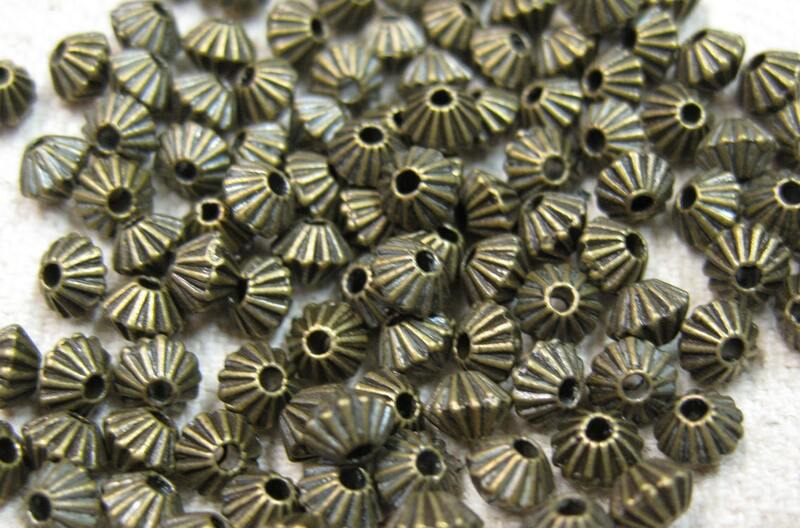 50 corrugated or fluted antique bronze bicone spacer beads 5mm x 4mm. Zinc alloy metal, lead and nickel safe. Hole size 1mm.